A compact high performance glasswasher with a comprehensive specification designed to deliver sparking clean glasses every time. 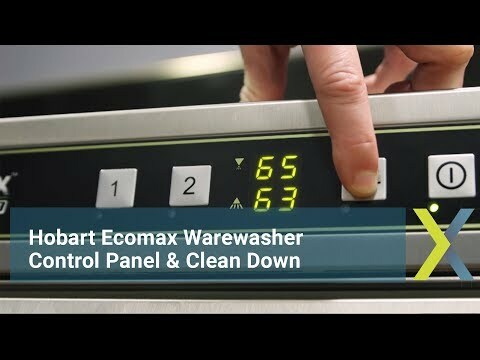 The electronic soft touch control panel offers additional features and a digital read out of operating temperatures. 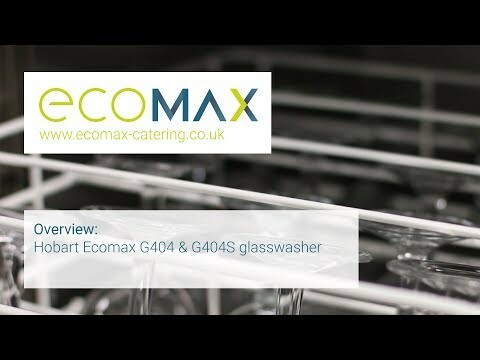 A small wash tank and low volume water consumption along with a list of other outstanding features make this glass washer, quick, reliable and very affordable to run. This compact professional unit is ideal for behind or under bar installation. 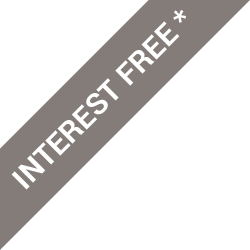 Complete and even coverage is assured with its upper and lower rotating wash and rinse arms. A built in drain pump and integral detergent and rinse aid dosing system guarantees speedy emptying and refilling with precise dispensing every time. Easy to use electronic controls and constant temperature display avoid operator errors. Excellent consistent results and economical running costs are easily achieved with this German made, robust glass washer. For sites in hard water areas we strongly recommend a water softener is fitted to eliminate limescale damage. 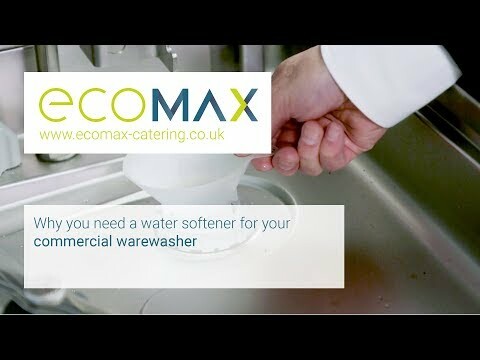 Either select the Ecomax G404S with an inbuilt softener or click here to view our full range of external water softeners.